Shredded fresh pumpkin and earthy spices make this Pumpkin Spice Bread recipe simply amazing. There’s no canned pureed pumpkin in this recipe. Instead, we use a fresh pie pumpkin. 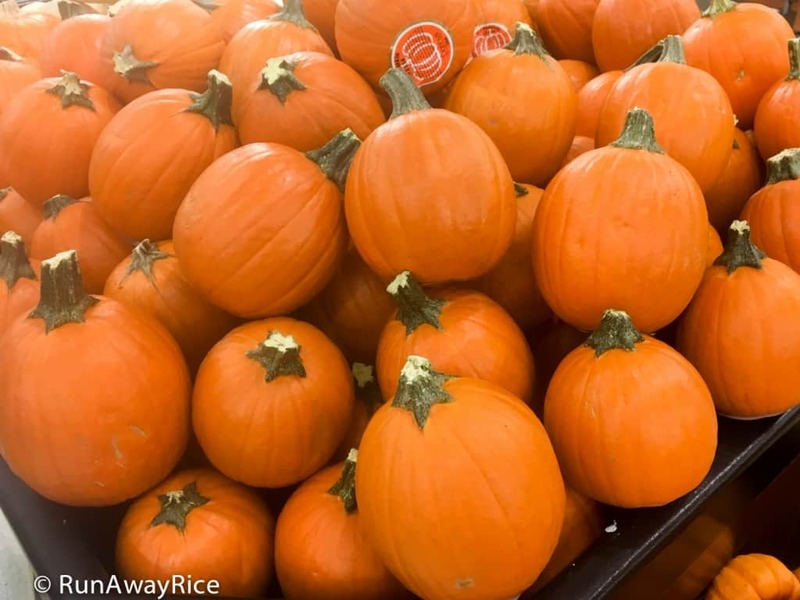 Pumpkins are packed full of fiber, antioxidant beta-carotene and nutrients like potassium and Vitamin C. Adding this nutritious vegetable to a sweet treat almost seems sneaky but go ahead and take the credit for healthy eating. 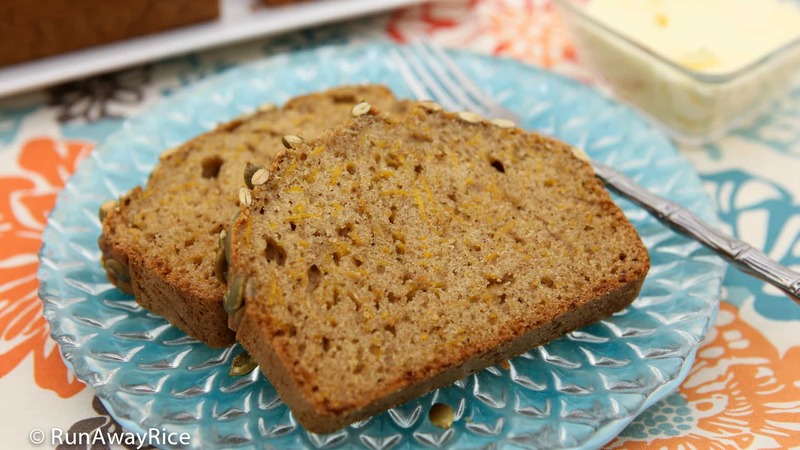 This hearty Pumpkin Spice Bread is moist, perfectly sweet and has wonderful texture. 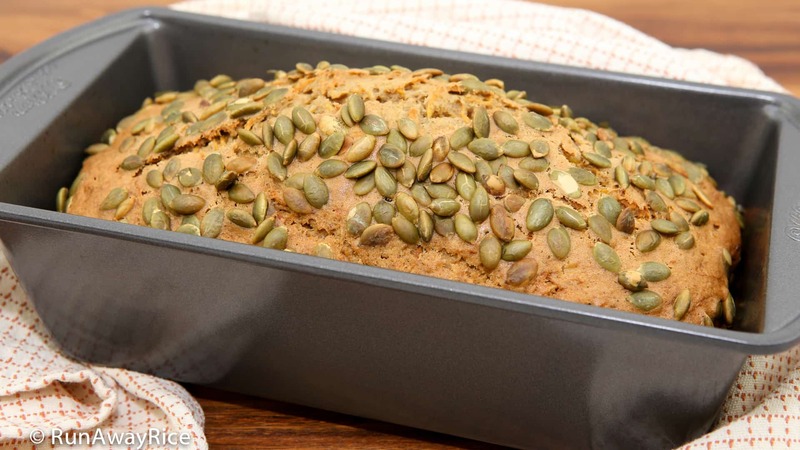 The recipe is really straightforward and you will love how amazing your house smells when the Pumpkin Spice Bread is baking. Enjoy the wonderful aroma of autumn! This recipe uses a pie pumpkin. As you can tell from the name, these are the petite pumpkins used to make pumpkin pie. The pie pumpkins are abundant this time of year and can be found in the gourd and squash section of the grocery store. Pie pumpkins weight about 1 1/2 lb – 2 1/2 lbs. An average pie pumpkin yields approximately 6 cups shredded pumpkin. You can make 2 loaves Pumpkin Spice Bread using one pie pumpkin. Use a mild vegetable oil like canola, soybean or sunflower. Avoid oils like olive or peanut which have a strong essence and will overpower the bread. Add more or less sugar depending on your preference. Add as little as 1/2 cup sugar or as much as 1 1/2 cups sugar. Optionally, use a sugar substitute intended for baking. 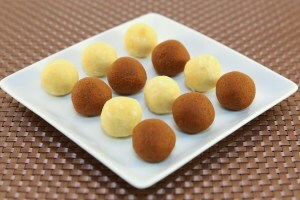 The batter may be thick when you first start mixing but it will loosen up as all of the ingredients are incorporated. Substitute the orange juice for water, milk or nut milk if you prefer. Try this recipe with other similar vegetables like acorn squash, butternut squash and zucchini. It’s a great way to incorporate autumn’s nutritious vegetables. Make Pumpkin Spice Muffins with this recipe. Bake using the same temperature for 30 minutes. Check for doneness using a toothpick. The Pumpkin Spice Bread can be stored at room temperature for up to 2 days. After this time, refrigerate it. The bread can be frozen for up to 2 months. To serve again, allow to thaw and then warm in the toaster oven. Add the raw pumpkin seeds into a small skillet and cook over Medium Low heat. Stirring every minute, cook the seeds until they are lightly golden, approximately 5-6 minutes. Turn-off the heat and let cool. Wash the pie pumpkin thoroughly under warm running water. Pat dry with a kitchen towel. Firmly hold the pumpkin and cut off the ends. Cut the pumpkin in half. Using a large spoon, scrape around the stringy core, separating it from the pumpkin body. Transfer the core into a small bowl. Scoop out the core for the other half. (Save the seeds and roast them. 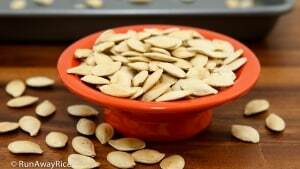 Here’s How to Roast Pumpkin Seeds.) If there are any remaining loose fibers, scrape with the spoon and scoop out. Cut each pumpkin half into wedges about 2-inches thick. Use a vegetable peeler and remove the pumpkin skin completely. Cut the pumpkin into small pieces using a shredder or grater. Preheat the oven to 325 F (163 C). In a large measuring cup, combine the all-purpose flour, sugar, baking soda, baking powder, ground cinnamon, ground nutmeg, ground cardamon, ground allspice and ground cloves. Sift the dry mixture into a large bowl. In a small bowl, add the eggs and lightly beat. Add the vegetable oil, orange juice and vanilla extract. Whisk together combining well. Pour the wet mixture over the dry ingredients and whisk together. Mix until the dry ingredients are mostly incorporated. Avoid over-stirring the batter. Add one-third of the shredded pumpkin and fold into the batter. 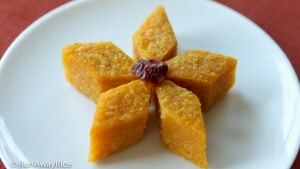 When mostly incorporated, add another one-third pumpkin and combine with the batter. Fold in the remaining shredded pumpkin. Coat a loaf pan with non-stick baking spray. Pour the batter into the pan. Tap the pan on the counter a few times to level the batter. Sprinkle the toasted pumpkin seeds on top. Bake for 1 hour and 10 minutes to 1 hour and 15 minutes. Check the bread is done by inserting a toothpick into the center. The toothpick should come out clean and no batter should stick to it. Remove the pan from the oven and let cool for 5 minutes. Loosen the bread from the pan by running a spatula around it. Transfer the bread to a wire rack and let cool for 20 minutes. To serve, cut the Pumpkin Spice Bread into thick slices. Enjoy with butter or your favorite spread. 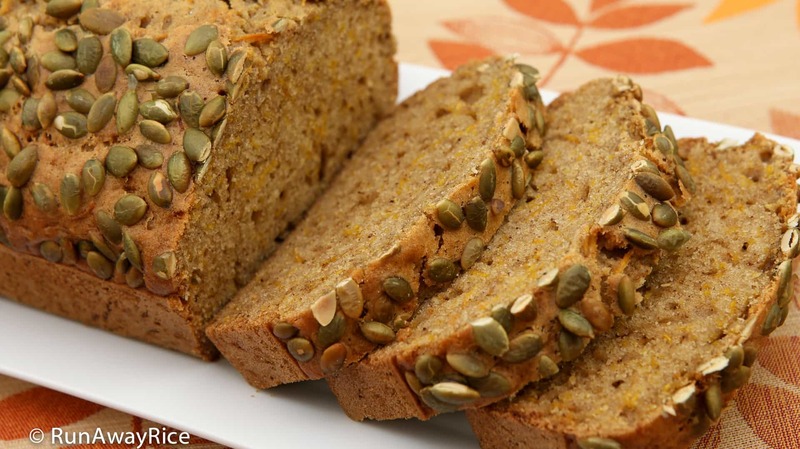 Shredded fresh pumpkin and earthy spices make this Pumpkin Spice Bread recipe simply amazing. There's no canned pureed pumpkin in this recipe. Instead, we use a fresh pie pumpkin. Pumpkins are packed full of fiber, antioxidant beta-carotene and nutrients like potassium and Vitamin C. Adding this nutritious vegetable to a sweet treat almost seems sneaky but go ahead and take the credit for healthy eating. 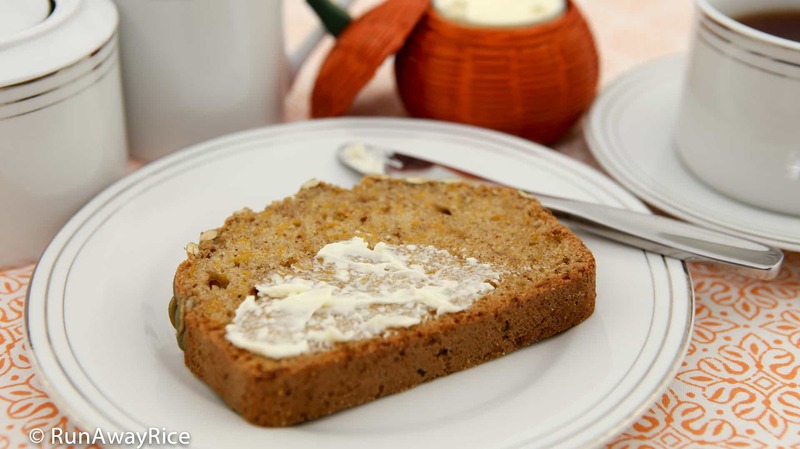 This hearty Pumpkin Spice Bread is moist, perfectly sweet and has wonderful texture. The recipe is really straightforward and you will love how amazing your house smells when the Pumpkin Spice Bread is baking. Talk about the wonderful aroma of autumn. Enjoy! Wash the pie pumpkin thoroughly under warm running water. Pat dry with a kitchen towel. Firmly hold the pumpkin and cut off the ends. Cut the pumpkin in half. Using a large spoon, scrape around the stringy core, separating it from the pumpkin body. Transfer the core into a small bowl. Scoop out the core for the other half. (Save the seeds and roast them. Here's How to Roast Pumpkin Seeds.) If there are any remaining loose fibers, scrape with the spoon and scoop out. Cut each pumpkin half into wedges about 2-inches thick. Use a vegetable peeler and remove the pumpkin skin completely. Cut the pumpkin into small pieces using a shredder or grater. This recipe uses a pie pumpkin. As you can tell from the name, these are the petite pumpkins used to make pumpkin pie. The pie pumpkins are abundant this time of year and can be found in the gourd and squash section of the grocery store. Pie pumpkins weight about 1 1/2 lb - 2 1/2 lbs. An average pie pumpkin yields approximately 6 cups shredded pumpkin. You can make 2 loaves Pumpkin Spice Bread using one pie pumpkin. Try this recipe with other similar vegetables like acorn squash, butternut squash and zucchini. It's a great way to incorporate autumn's nutritious vegetables. I sometimes see some recipes called for 2 tsp of baking powder and sometimes I see some recipes do not ask for baking soda. Can you explain the difference? Instead of using the loaf pan, can I use the muffin pan? I know that I have to adjust the temperature and cooking time but as for muffins, do I need to adjust the amount of baking powder/baking soda as well? 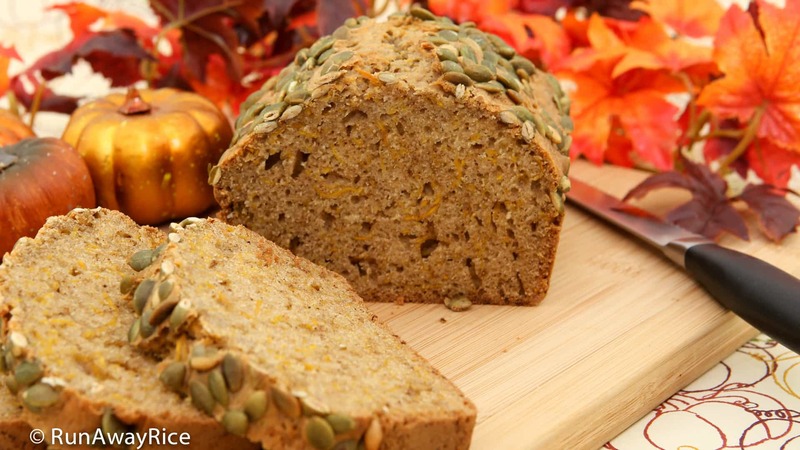 I love spiced bread and was glad to see fresh pumpkin in this recipe. This is an easy recipe for me, a budding baker. My pie pumpkin easily made 2 loaves with a little leftover pumpkin I am adding to a stir-fry tonight. Pumpkin seeds are roasting in the oven as I type this. 🙂 Thank you for the awesome recipes! Thanks Dannie! Glad you like this recipe. Great use for the leftover pumpkin in a stir-fry. The shredded pumpkin looks like shredded cheddar cheese so I tossed some on my salad, really yummy! Thanks for stopping by.